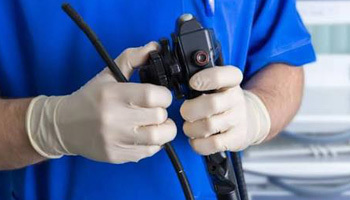 Endoscopy is a non-surgical procedure used to examine a person’s digestive tract and sometimes treat if there is chronic stomach pain, ulcers, bleeding, irregular and alternating constipation and diarrhea etc. A flexible tube with a light and camera attached to it, an endoscope transmits the pictures of your digestive tract on a color TV monitor. A sedative is provided before endoscopy for relaxation and light sleep which increases the comfort of the individual undergoing the examination. With thousands of endoscopy performed in our center, we have expert clinicians and staff to help make your endoscopy experience at our center pleasant and the diagnosis robust.